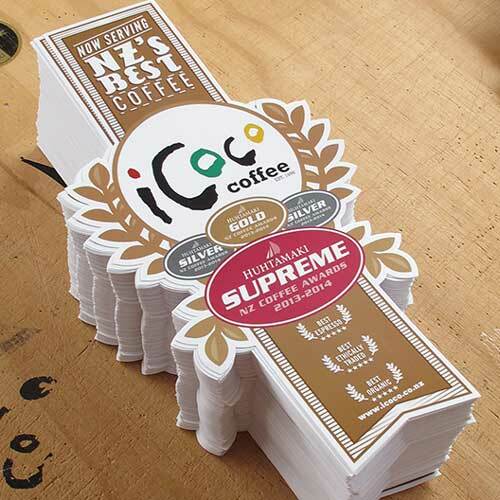 Icoco coffee came to us looking for some custom stickers for their suppliers windows. They had their sticker art all ready to roll, so we CMYK printed, die cut and shipped these stickers off. This is a good examples of a good die cut sticker design – good shape, good use of colors, and it get the message across (award winning coffee served here). These have adhesive on the backside, which is more economic that making window stickers for the inside of the windows as it eliminates a layer of ink.